I had forgotten this one until a bit ago and found it in my husband’s office. He had once decided to learn to play the guitar but other bits in life got in the way and he hasn’t yet. But, I had made this for him back when he was seeming serious about it. Now I was incredibly proud of this at the time that I made it. I still do love the colors that are in it but the edges really show that I was a beginner as they aren’t as smooth and even as I would like today. My inkle loom was made by Mark for me and I have done a few things on it. 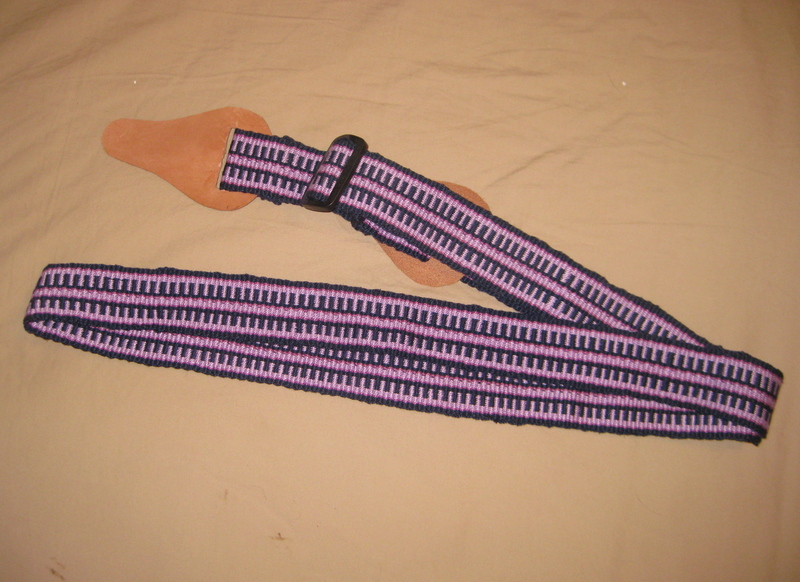 Here is a picture of it at the time that I was weaving this strap. I really need to weave another inkle band as it has been some time since I did.